Dance and listen to the best of the SF Swing and Jazz scene every Wednesday, featuring a wide variety of bands, different each week! Music styles range from Benny Goodman-styled cool combos, Hot Traditional Jazz, classic high-energy Big Band Swing, sultry Blues to funky New Orleans R&B always providing fresh inspiration on the floor! The Hot Baked Goods are a band of young jazz musicians playing hot tunes of the 30's. Most of the band members started as swing dancers, and became so infatuated with the music that they decided to make some themselves! The Hot Baked Goods play regularly at Dolores Park on Saturdays and at Amnesia on the first and third Sundays of each month. 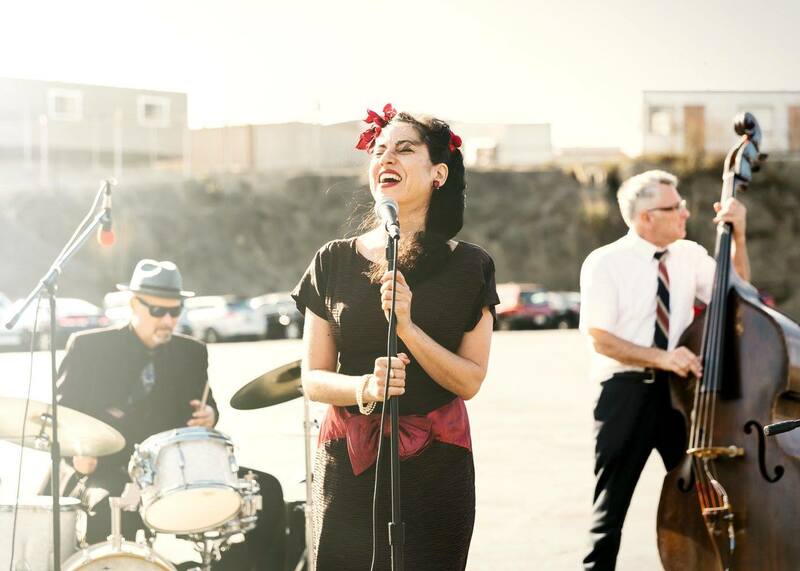 The Cottontails are one of San Francisco's most exciting musical groups, playing a wide range of styles ranging from 20'/30's Gatsby-era jazz, classic 40's swing, and vintage 50's/60's R&B. The band features Karina Denike on vocals, Michael McIntosh on piano, Sam Rocha on bass, and the irrepressible Randy Odell on percussion. Also featuring some of the Bay Area's finest musicians as guests, including Tom Griesser on saxophone/clarinet, Scott Larson on trombone, Henry Hung on trumpet, Vic Wong on guitar, and vocalist Christie Winn. Tin Cup Serenade - led by guitarist/singer/songwriter Rolf Wilkson - will be your musical therapist, as you travel into and beyond the reaches of their timelessly original jazz compositions. It's Swing with a case of the Blues, Honky Tonk with a sparkle of Romantica, Chet Baker on a Jamaican beach, Billy Holiday stranded in Tijuana. Join their musical rescue mission....and dance the night away! Saxophonist Fil Lorenz leads a tight horn ensemble that packs a bold punch, while channeling a sweet, classy and textured sound. 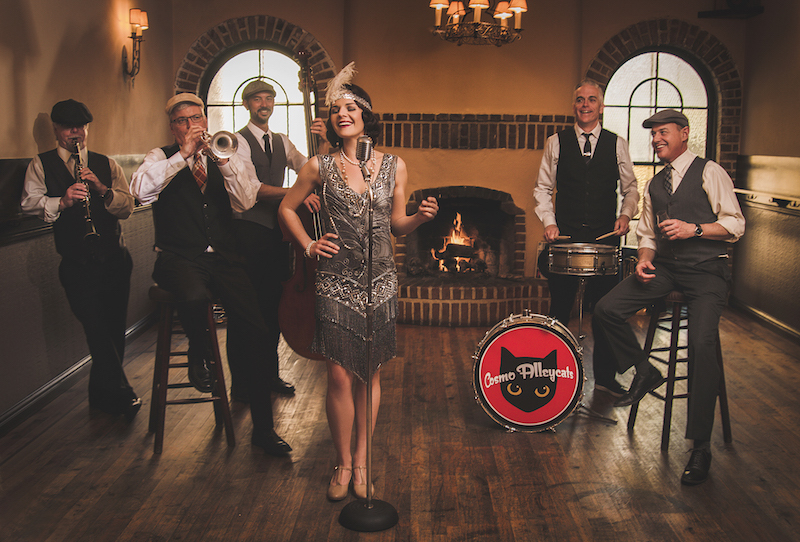 Backed by a driving rhythm section on piano/bass/drums, the band plays classic renditions of our favorite big band swing dance tunes...a dancer's delight! 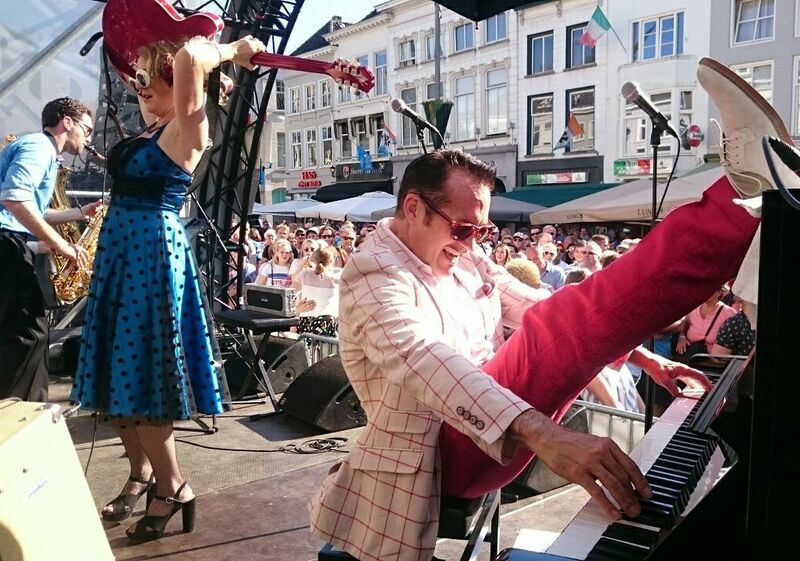 Steve Lucky & the Rhumba Bums deliver '30s, '40s & '50s-style swing, vintage jazz, jumpin' R&B, blues, and original tunes featuring Steve Lucky on piano & vocals, and Miss Carmen Getit on guitar. The band has been a familiar force in the SF Bay Area swing scene as well as internationally, and we're always excited to have them back on our cozy stage! Lavay Smith is internationally recognized as The Queen Of Classic Jazz & Blues in the authentic style of the 1940's and 1950's. 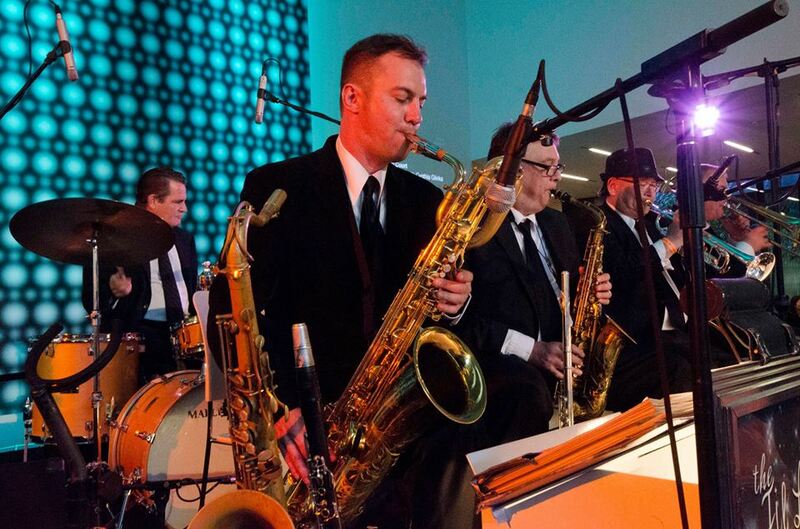 Her all-star band, led by boogie-woogie pianist Chris Siebert and featuring a 4-person horn section that includes acclaimed saxophonist Jules Broussard and trombonist Danny Armstrong, plays sweet and sizzling Big Band arrangements that will put you in a mood for dancing! 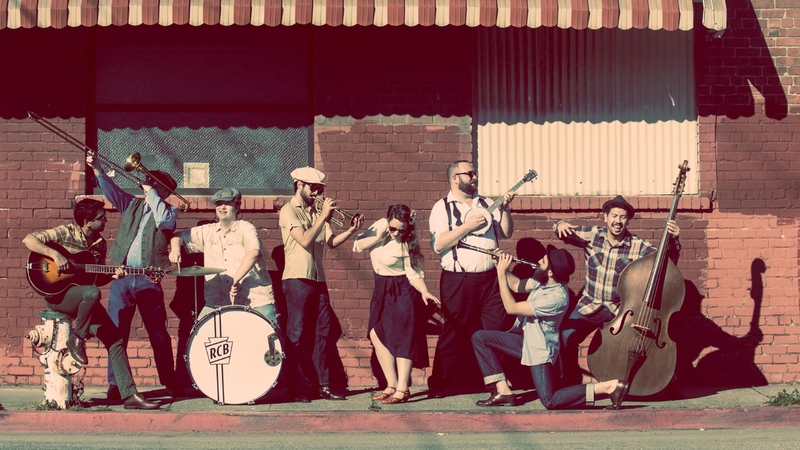 The SF Medicine Ball Band has the cure for all your swing dance ailments. 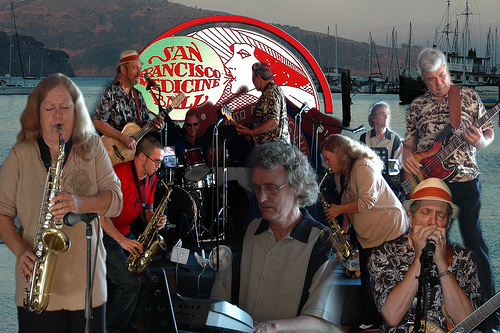 Dance away all that ails you with a healthy dose of swing, blues & R&B from the San Francisco Medicine Ball Band! 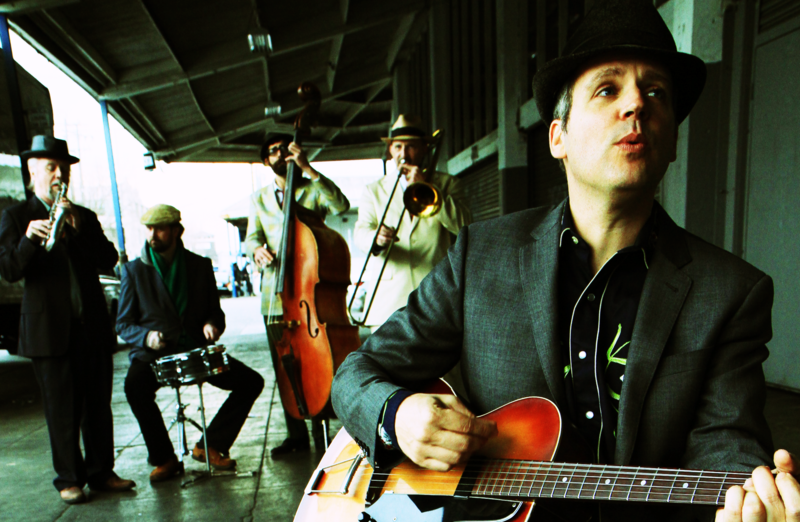 Founded by guitarist David Sturdevant and renowned for its blend of funky swing and New Orleans- rooted R&B, the Medicine Ball Band has been playing together for over 38 years and always turns out with a host of talented jazz and R&B musicians playing great dance music. Macy Blackman & the Mighty Fines play groovin' tunes for dancing. 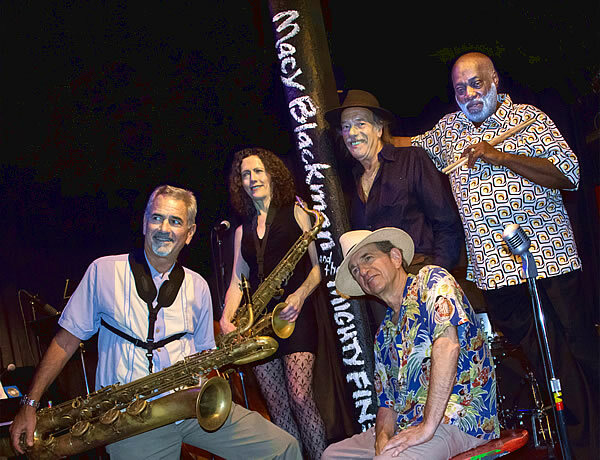 Macy Blackman and the Mighty Fines play music that blends early New Orleans Jazz and the R&B of the early '50's. Led by pianist/vocalist Macy Blackman - whose resume includes playing backup with the Drifters and the Coasters - the band's philosophy is that "if [we don't] make you move your feet, it's amazing you got here at all!"